There are not a lot of Parameters but enough for creating any room you want. "Less is more", so to say. Unfortunately the two filters "Tone" and "High Cut" are connected together. So if you cut the high frequencies (obviously the input for the reverb effect) you cant do a lot with "Tone" (of the reverb) anymore. There are not really a lot of factory presets. 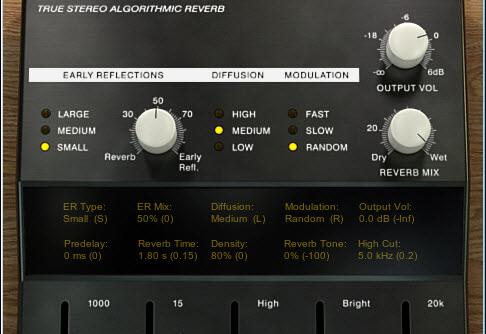 This reverb can produce nice, different and also dense reverbs! 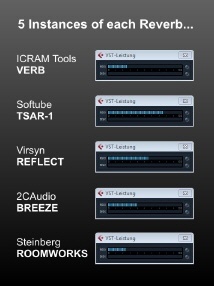 Unfortunately TSAR-1 comes with a very poor amount of factory presets. Further, these factory presets are not produced with loving care in my opinion. What a pity, the reverb is far better than the Factory Presets can show. Softube should solve this in my opinion. The reverbs seem not to be as "removed" from the signal (original) as those of BREEZE for example. Nevertheless, The reverb-sounds are very good. 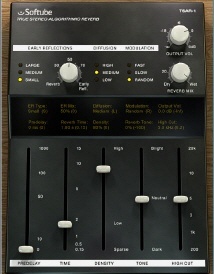 Beside the natural reverbs TSAR-1 uses too much power yet. Hopefully Softube can bring down this CPU-consumption. 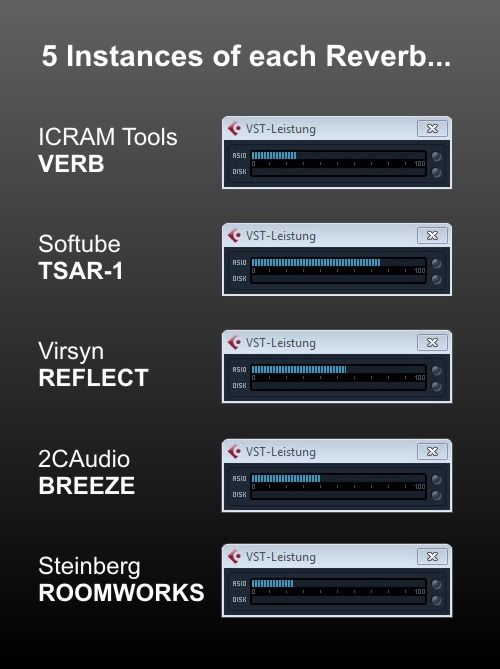 3...4 instances - and a common system is fully load, just with the reverb (VST/WIN7 64Bit).